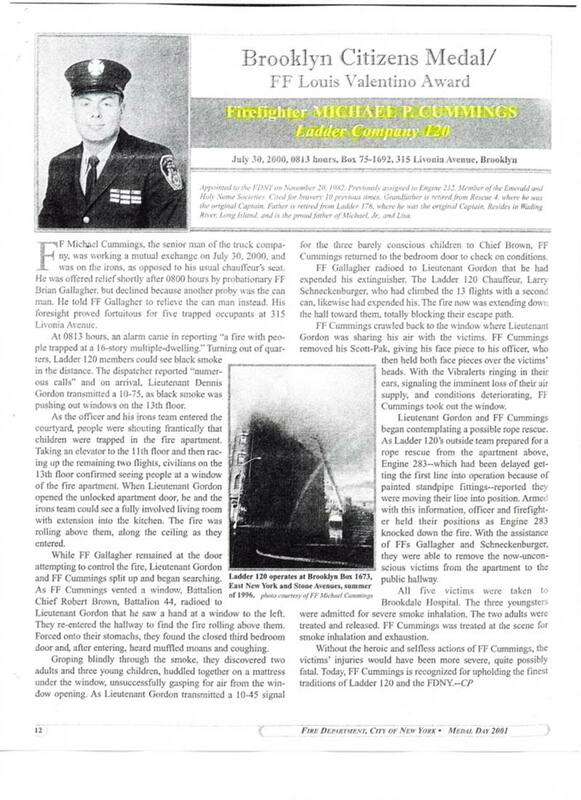 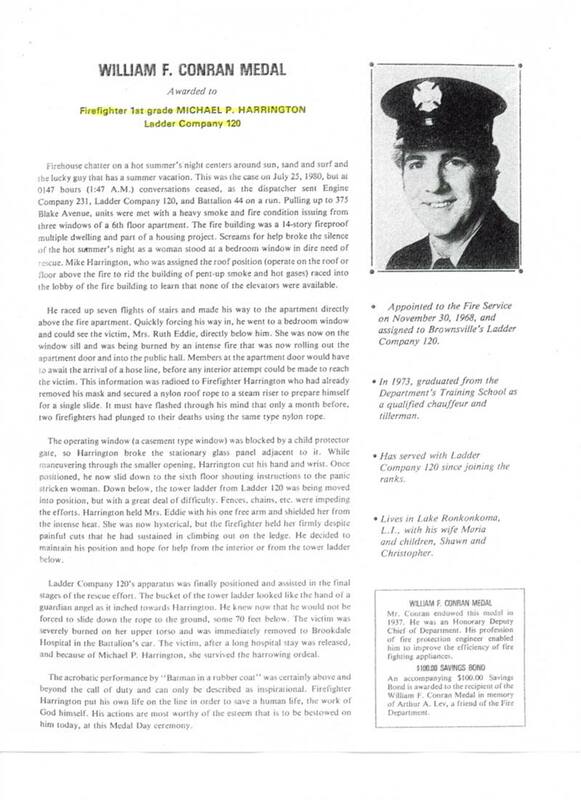 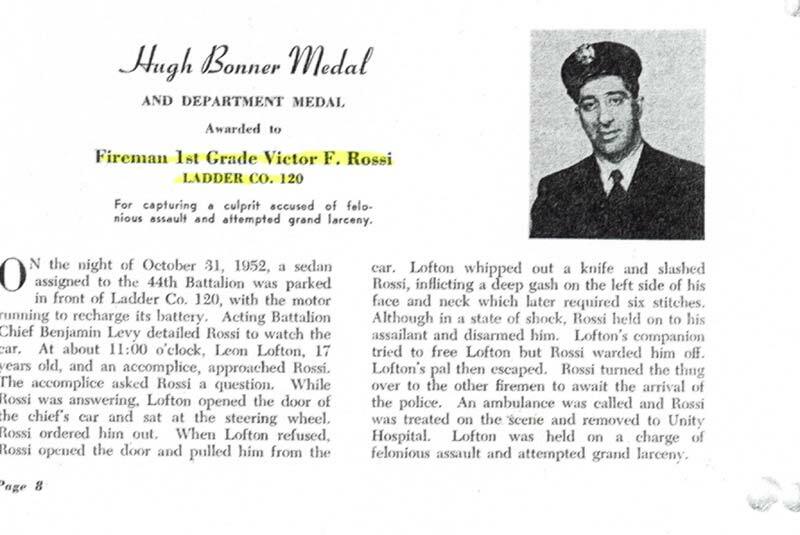 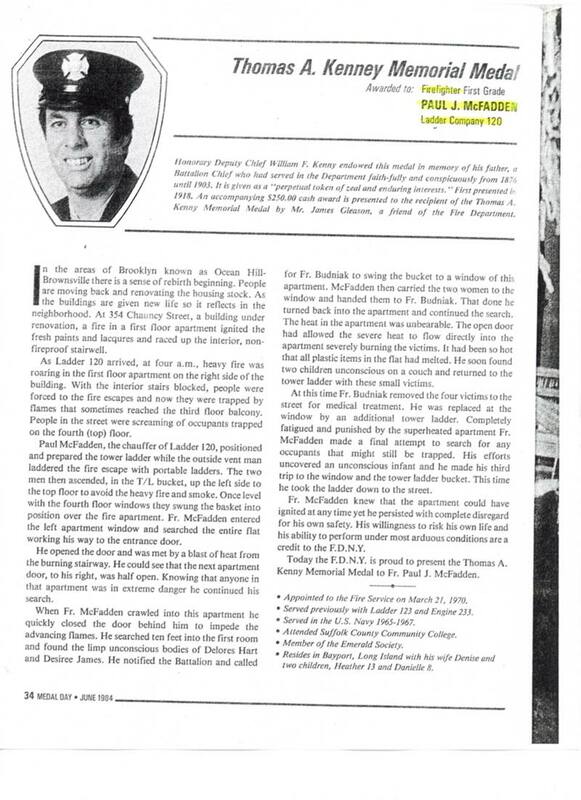 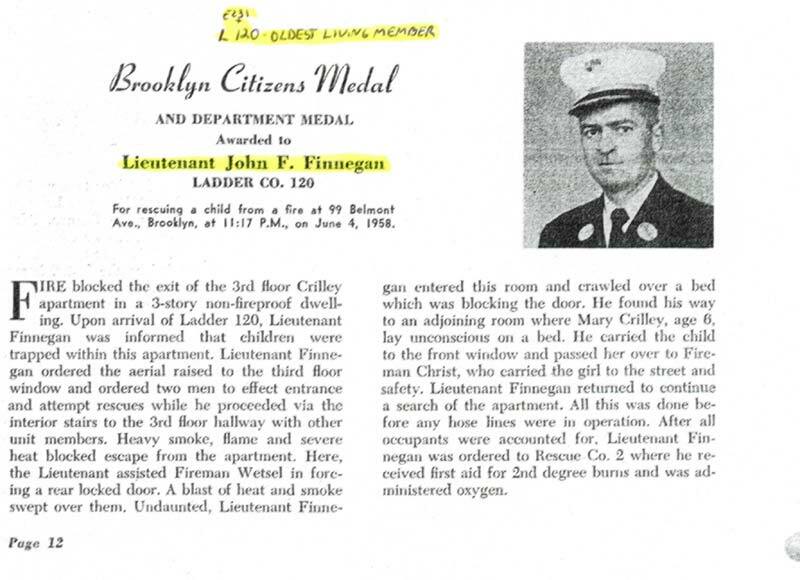 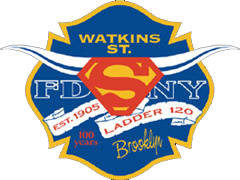 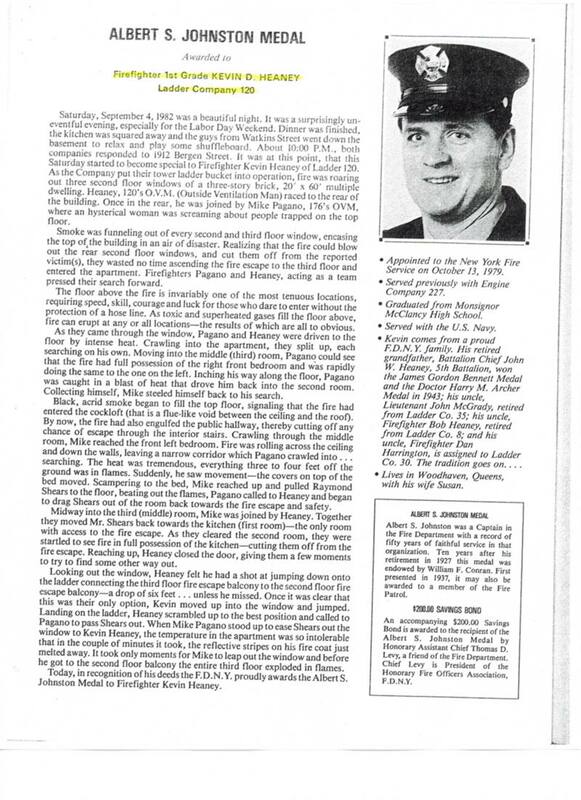 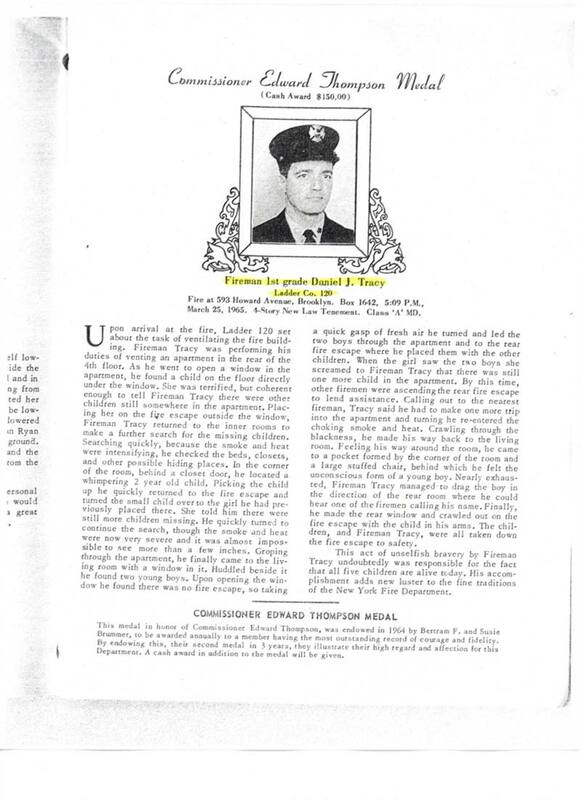 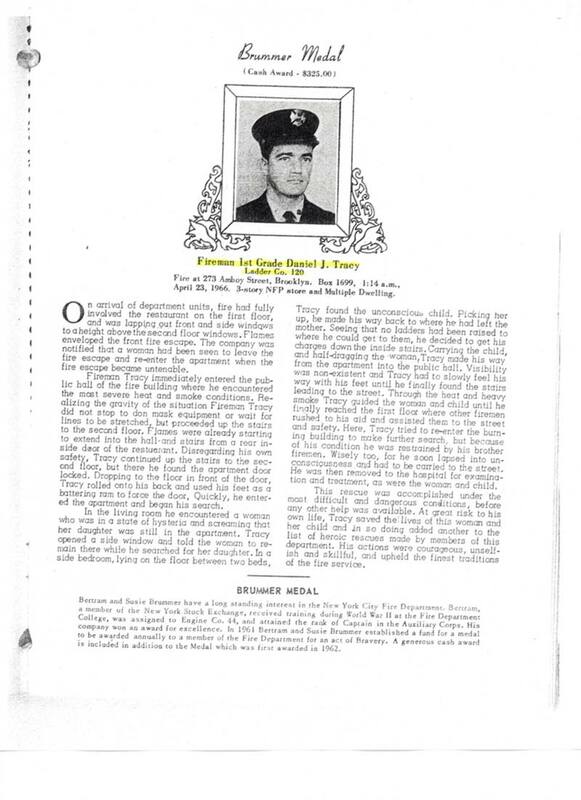 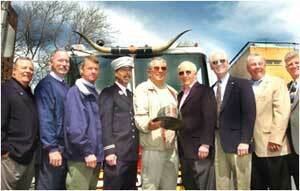 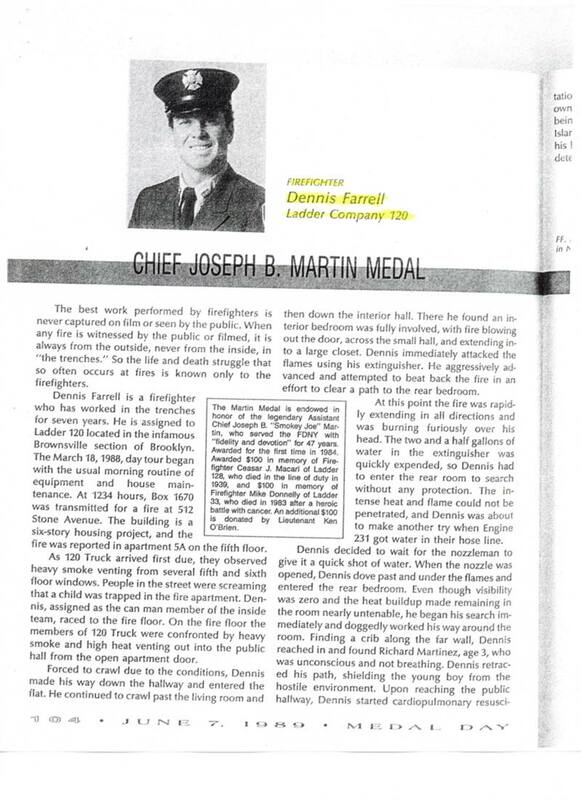 On June 22, 1968 Fireman John J. Connolly (4) rescued a mother and her two children from 358 Hinsdale Street. 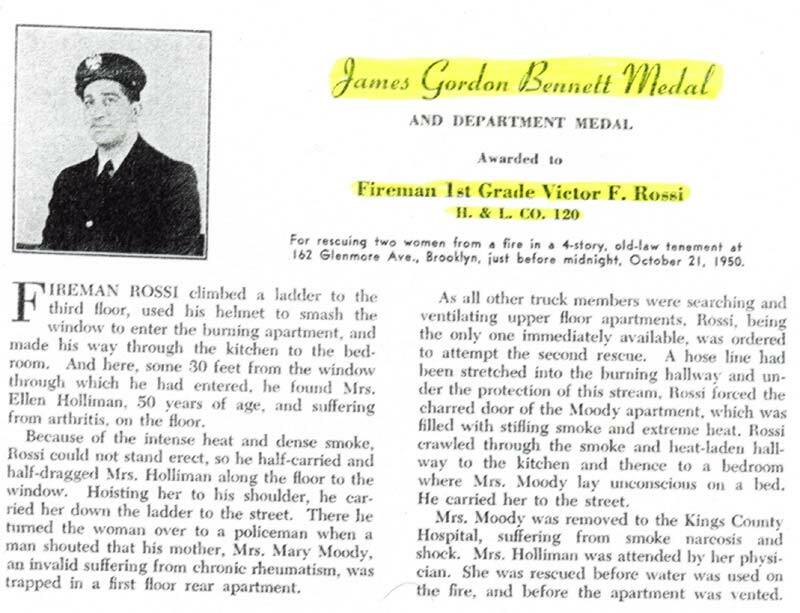 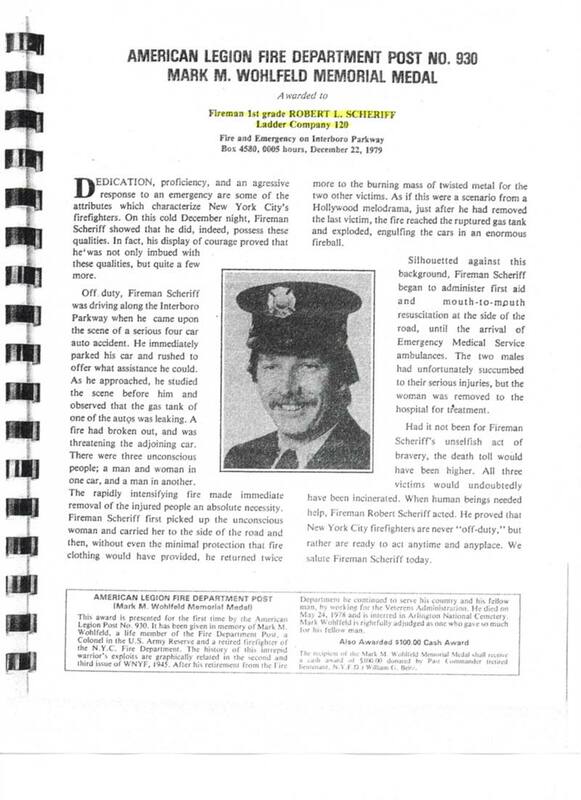 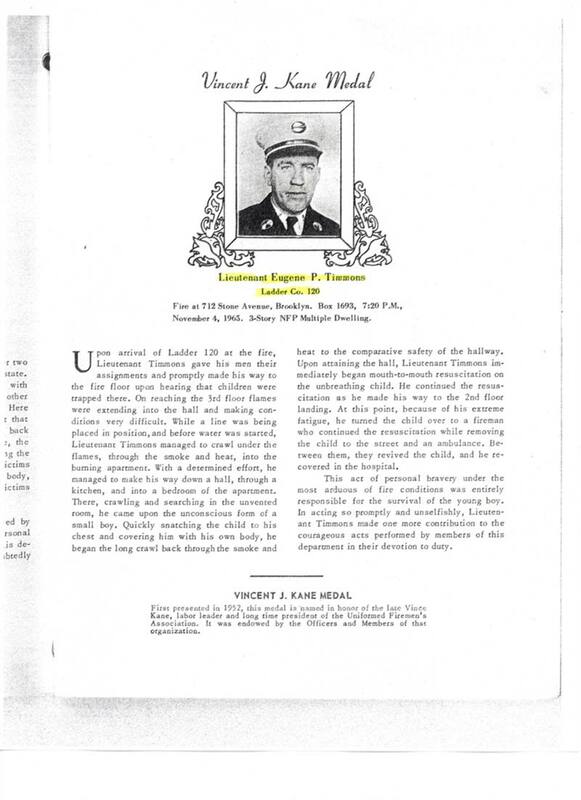 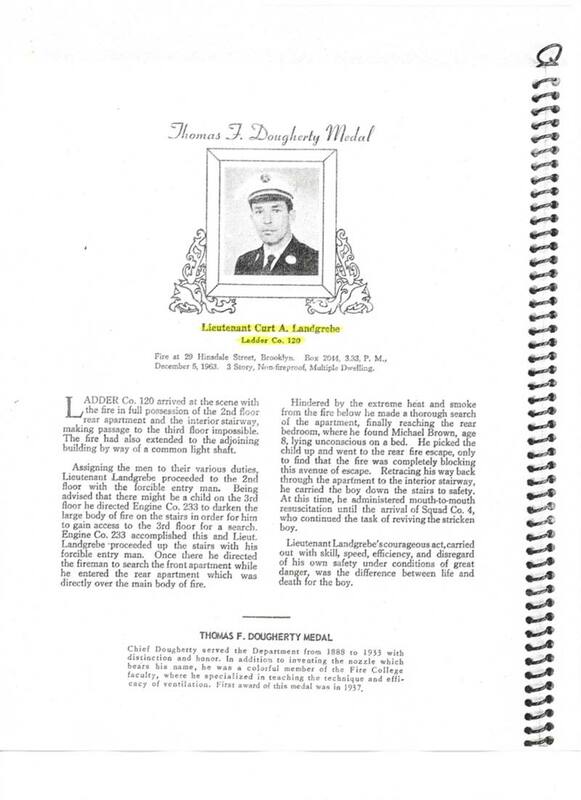 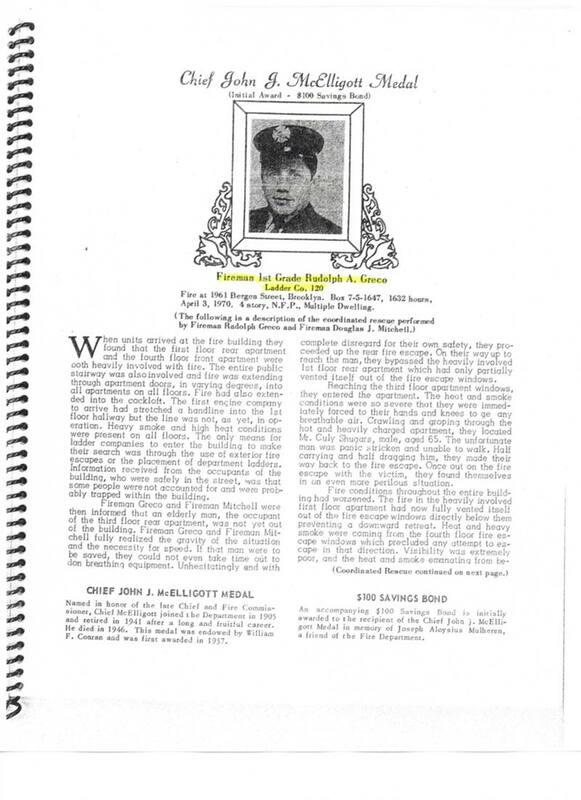 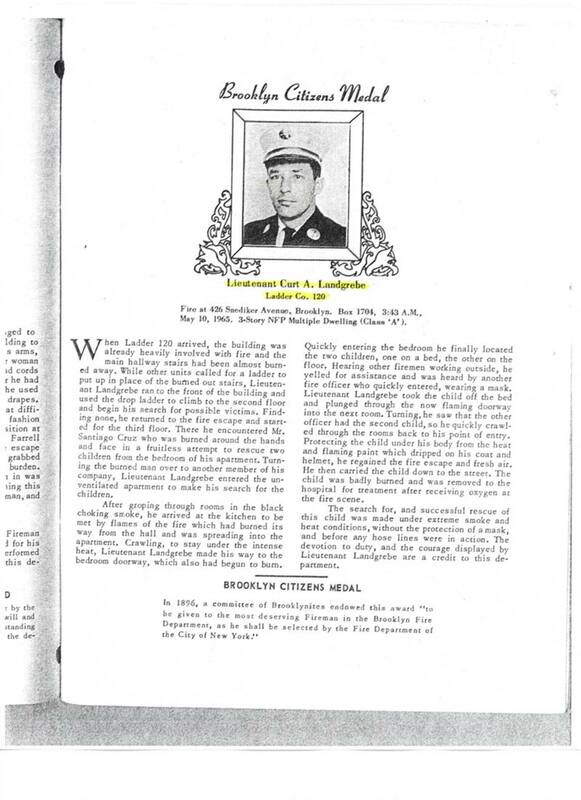 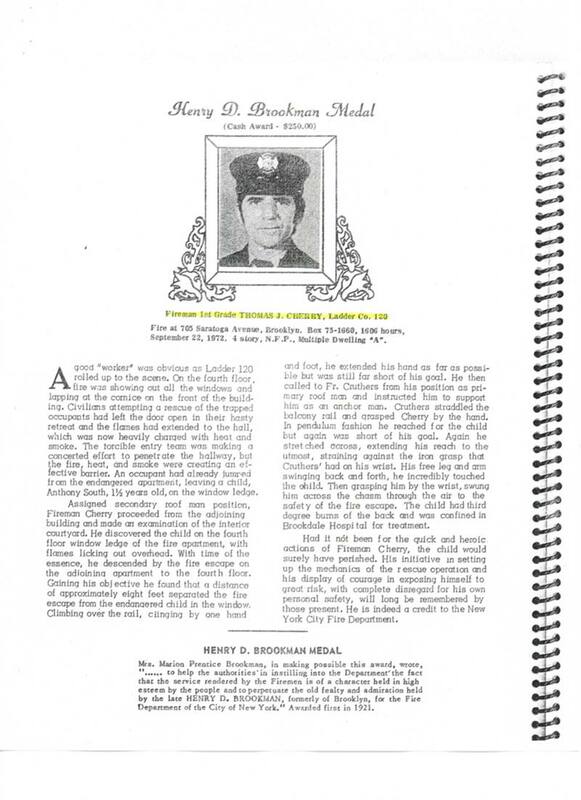 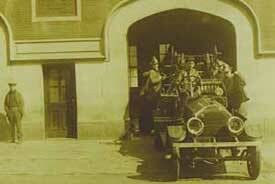 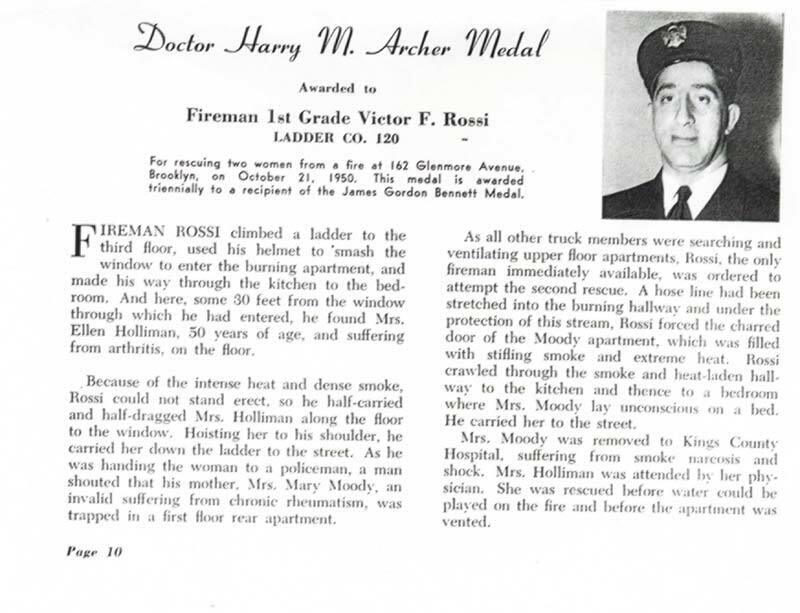 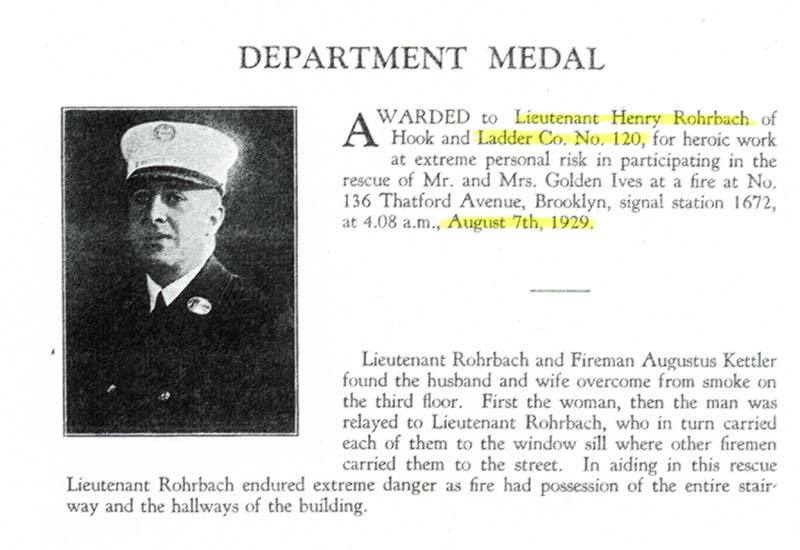 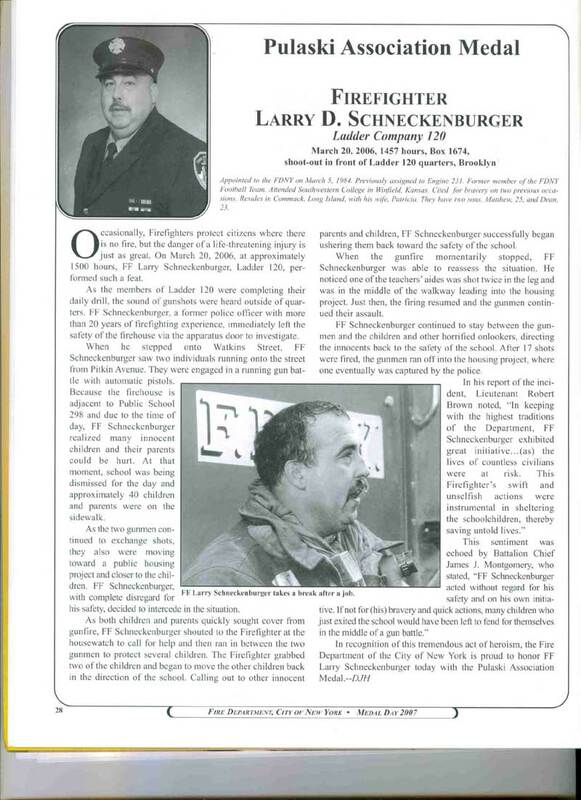 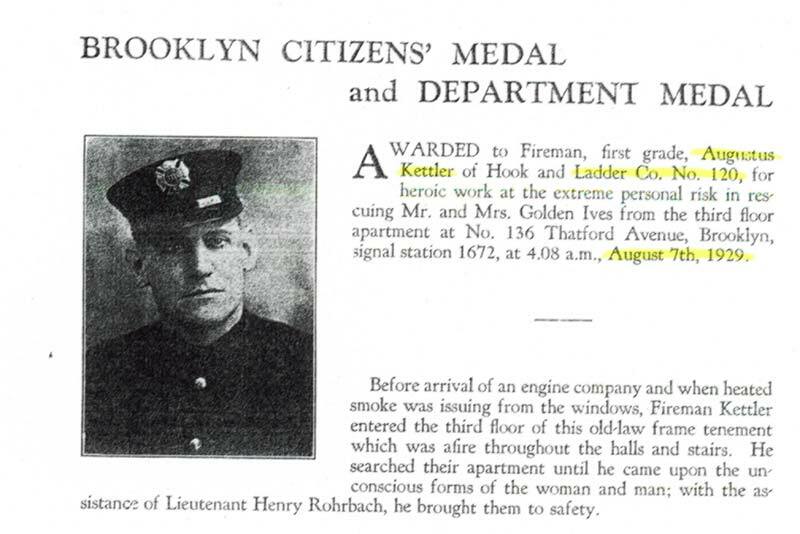 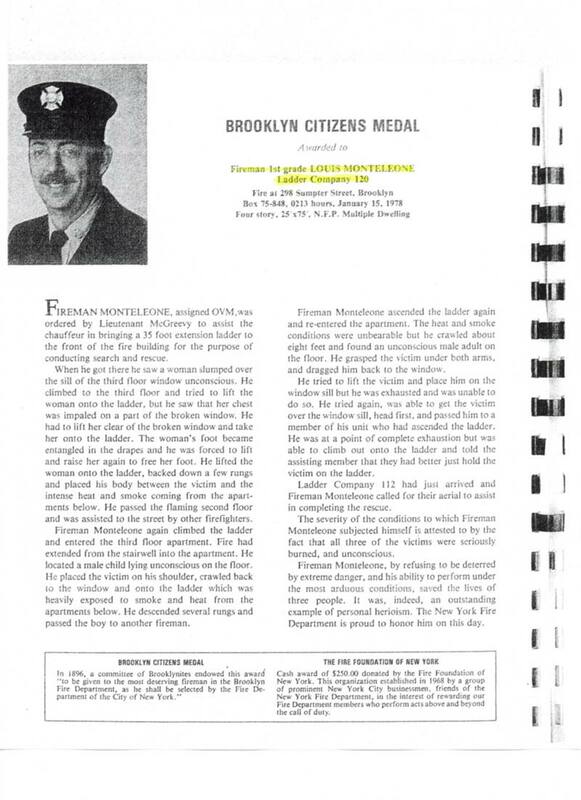 The Emerald Society Medal was awarded Fireman Connolly for this rescue. 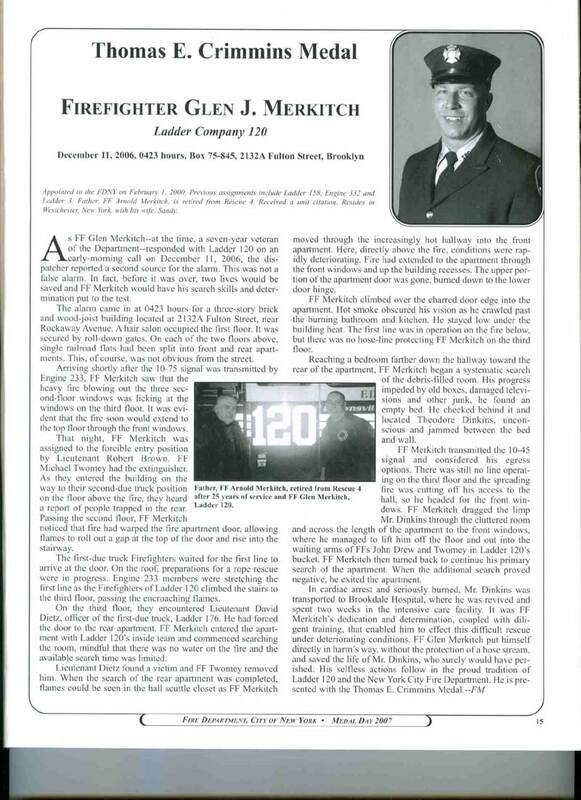 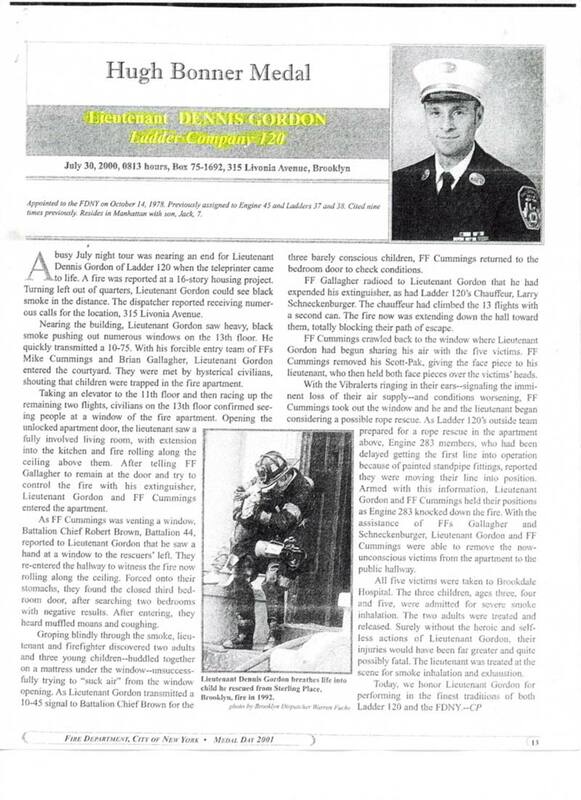 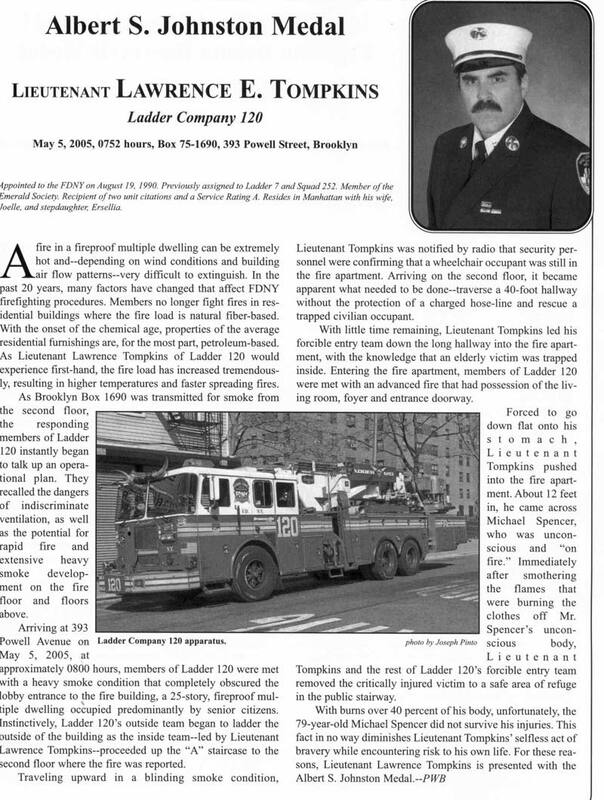 FF Peter E. Carroll was the 3rd member in L120 history to be awarded the Albert S. Johnston Medal for a daring rescue of a 40 year old woman on the floor above of a lightweight construction duplex apartment at 340 Marion Street on August 25, 2011. 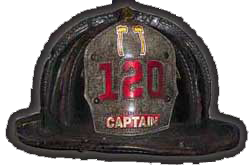 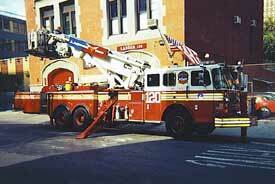 (which occurred as signal 10-70 was transmitted for water delivery problems). 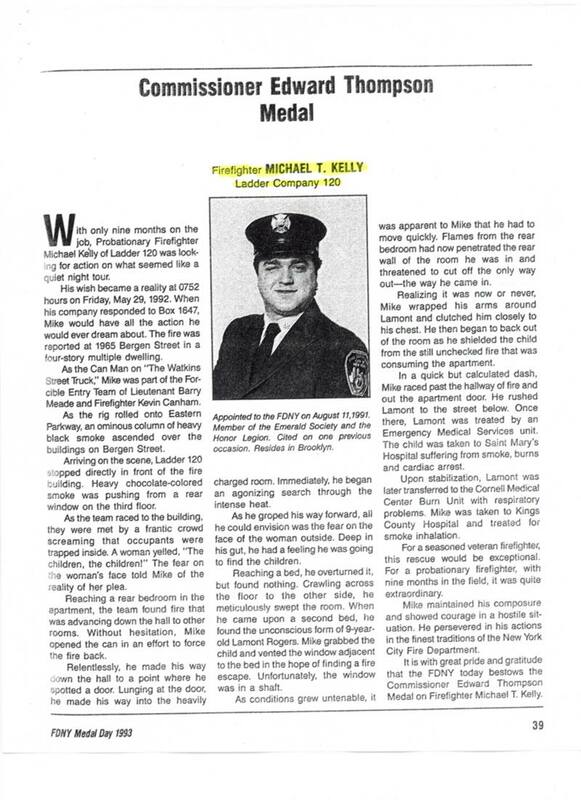 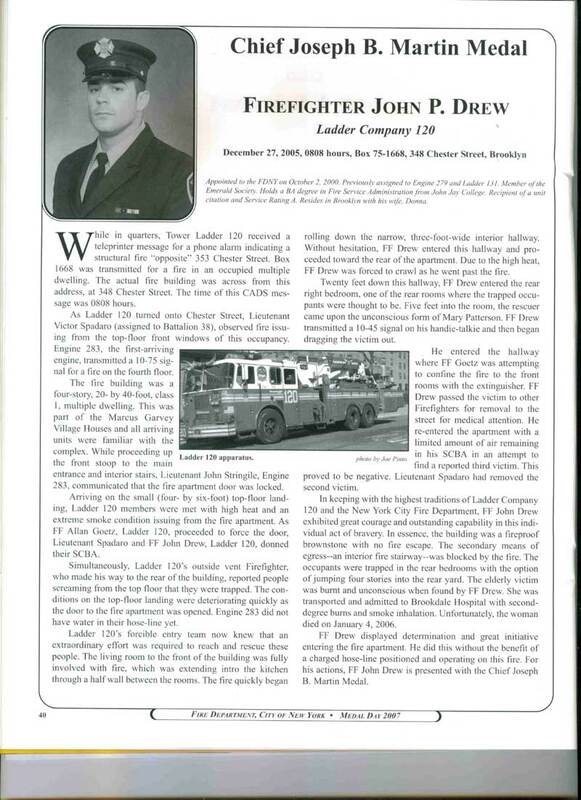 FF Michael P. Richardson was awarded the 2013 Columbia Society Medal for operating above the fire in deteriorating conditions and rescuing a 55 year old man who was unconscious in his bed at Box 1636 which was transmitted for a heavy fire in the store of a 2 story brick adjacent to E283 quarters on the night of October 7, 2012.